Power electronics: yes. Intelligent washing machines: no. You may not always agree with him, but venture investor Vinod Khosla always has something compelling to say. When he spoke at last year's GreenBeat event, he was the token smart grid skeptic. He's still a bit of a skeptic, but this year he offered an analytical perspective on smart grid hype and hope. 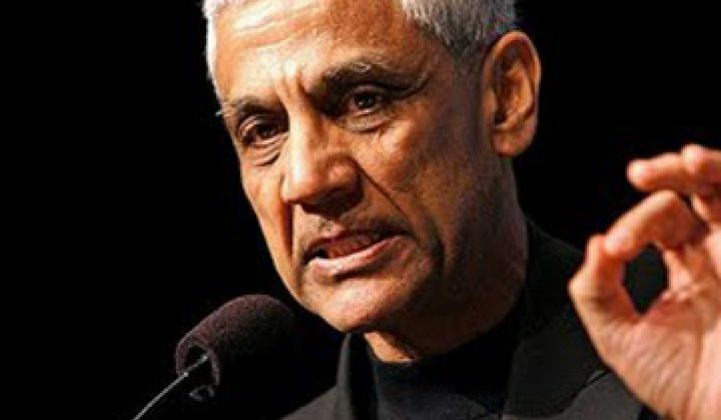 "Let's not get caught up in the hype," said Khosla to the crowd at Stanford University. "Opportunity exists, hype exists," he said, and it's critical to determine whether "the hype is leading us in the wrong direction." "Automating your meter reader is not the smart grid," said Khosla. He noted that Silver Spring Networks was doing well, but one company does not a wave make. Khosla was also, let's say, dubious of home energy networks. He saw these efforts as "useful, but hyped." Joining smart meters and consumer engagement in the "useful, but hyped" department were demand response and time-of-day pricing. Khosla suggested we need to avoid environmentalists' solutions -- which he labeled "Green Economics" or "Greconomics." He viewed legislating zero net-energy buildings as a "terrible idea." He expressed concern that the bandwidth requirements of meters and the network's capacity will be off by a factor of 100. So where's the beef in the smart grid for making material strides in reducing and securing our energy usage? Khosla viewed cyber-security as one of the most crucial necessities of the smart grid. He asked the audience to consider a Russia-originated hack-athon aiming at bringing down the grid. How soon would our efforts be channeled towards grid security if that occurred? How about energy efficiency? Khosla asked the audience, "If your air conditioner used 80 percent less energy, would you care if it was 'smart' or not? 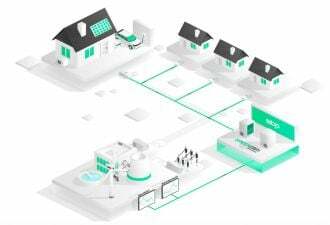 [...] If you have highly efficient systems, energy storage or distributed generation, you don’t need demand response," he added. Khosla seems to view energy efficiency and energy storage as more interesting and effective than demand response. He also called out Compressed Air Storage as the most interesting storage technology. Note that Khosla Ventures has an investment in a company that does just that -- LightSail Energy. Khosla noted that there used to be certainty in generation from baseload sources like natural gas, coal and nuclear. But now, with increasing variable energy sources like wind and solar (see slides number seven and eight), there is the potential for "catastrophic behavior" in the grid. Khosla stated that the smart grid has become about managing uncertainty from faults -- perturbations in increments of seconds through hours. The grid needs to be designed for non-catastrophic failure, so that when a tree falls in Ohio, it doesn't cause a blackout in New York City. It's about Increasing certainty and aggregating supply, according to the veteran investor. Khosla seems to see genuine smart grid opportunity in new power electronics. He said, "The grid really equals smart power electronics. It's not even about the networks." He added, "We need a whole new class of devices and systems. A 50-year-old transformer made of copper wire wound around a ferrite core can't respond to a signal, so we can't control it," adding, "If we invest in new power electronics devices, things will change radically. The design of existing systems will change based on these new components." Here's advice to entrepreneurs, according to Vinod Khosla: "We have to focus on power electronics."